The Boks were hammered at Lord's so made some changes. Chris Morris found out last Thursday that Today's the Day, whilst Duanne Olivier had a debut that his namesake Laurence could have bettered. Unfortunately it was England who were "Alas poor Yorick". Most importantly Faf du Plessis returned as skipper. Faf didn't faff about after winning the toss and elected to bat. South Africa showed patience and grit batting on a wicket that did a bit. Elgar went early but De Kock scored beautifully with his elegant style along with Amla playing it late, under his head and was full of wrist. Many of us think the selectors are too, in a metaphorical style but more of that later. Philander chipped in with a fifty as they made 335 all out. Jimmy took a Michelle but the Saffas showed how to grind it out. 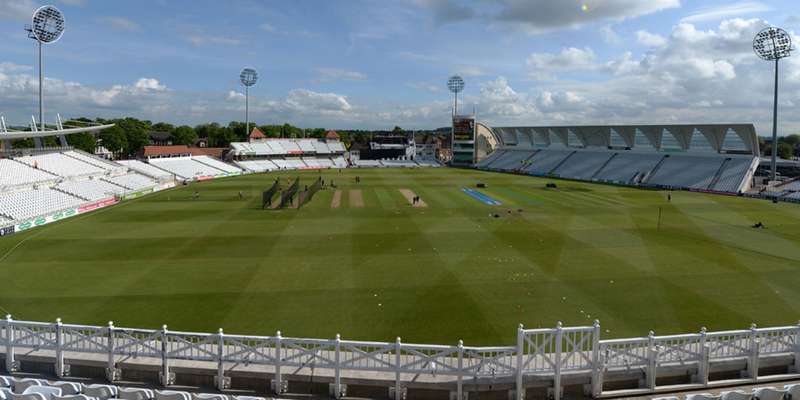 This was a Test match, not a T20 played on a featherbed where batsmen can play through the line. This was a swinging, hooping ball and soft hands needed. The Proteas batted very well. 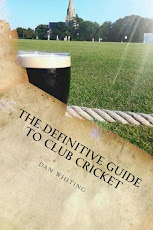 When England came to bat it was the polar opposite. Crash, Bang, Wallop, Out - they all came and went. Joe Root got 78 but it was a poor display. Bairstow was spun out by Maharaj, looking at the pitch post dismissal as if it was a Lancastrian who had just stolen his pint. Moeen Ali was praised on these pages for his display at Lord's. His downfall was a shocker, leaning back and caught at point; a third eleven dismissal. It was one of the worst pieces of sport seen in Nottingham since Rachid Harkouk played up front for Notts County. There was no Plan B, as we have seen so often with England. On pitches that do a bit, they struggle. 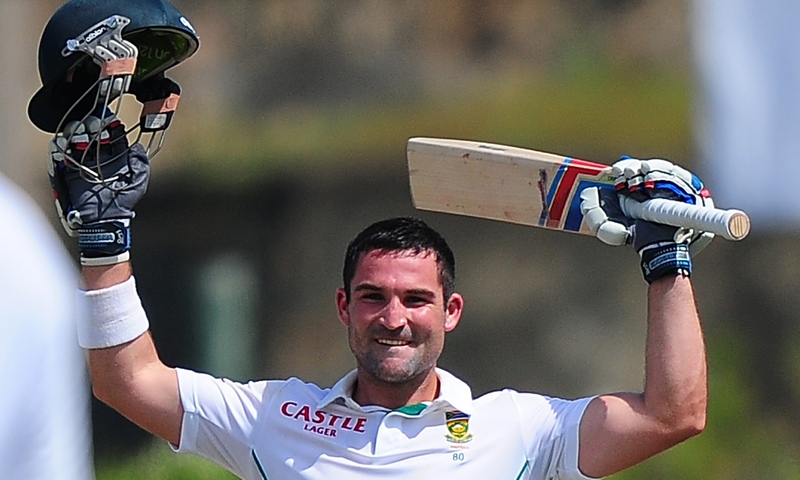 The mood was already getting as dark as the stubble on Dean Elgar's chin five minutes after he has a shave. 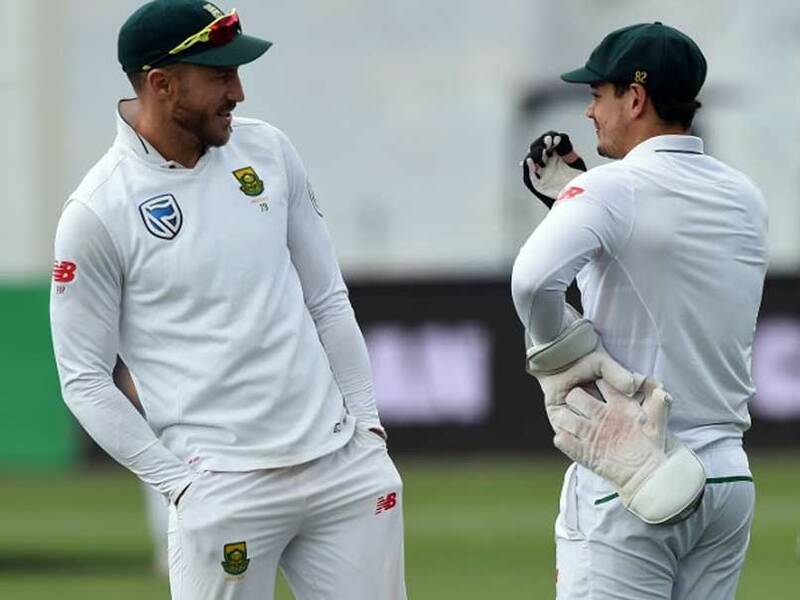 Elgar's team though were smooth - Faf skippered extremely well, rotating his bowlers and De Kock took a very good catch standing up, along with a full length dive standing back. Maharaj is miles ahead of our spinners and is a joy to watch - a genuine tweaker spinning batsmen out. South Africa batted again and showed how to play Test match cricket. Not crash ball but proper Test batting. Elgar gutsed it out. He might not be getting any sponsorship deals from Gillette but this was the best the Saffas could get. He blunted the English attack with his Wilkinson sword. Amla danced down the pitch and plonked Dawson regularly over his head and it was already game over before Faf added insult to injury by getting himself into form. The Saffas batted very well. 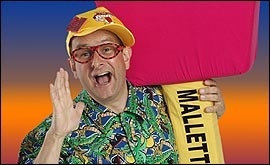 The biggest cheer for English fans was when a Timmy Mallet look a like groundsman, hammered the pitch with what looked like Mallet's Mallet. South Africa knew it wasn't a whacker day. So we just knew what was coming next didn't we? We hoped someone might score a fighting ton to dampen the spirits of the Saffas going into the next Test but no, this England side didn't even show that much cojones. Cook, reprieved after a first ball review scored 40 odd but even he was bounced out. This bodes badly for the winter. To see Ali, Stokes and Cook all play Chris Morris badly was more disconcerting than watching Nottingham comedienne Su Pollard in Hi De Hi. Jennings left more of a portcullis than a gate, as did Ballance in the first dig - hardly ideal from your 2 and 3 with the ball zipping about. Bairstow, Ali and Stokes were all caught and Stuart Broad played the shot of a man who knew the pub was open in his home city, as he was caught on the fence. Wood and Jimmy went like ninepins and it was game over. 1 apiece in the series. This was Edward Woodward for the Saffas - the Equaliser. And by the small margin of 340 runs! For South Africa all of them were decent. Morkel roughed up our batsmen, Philander has been outstanding with bat and ball, Maharaj is a fine bowler and Chris Morris was excellent. His outswinging yorker that removed Joe Root in the second dig was the ball of the series so far. They still have Rabada to return too. The batting was in a different league to England's. They showed patience and how to play the ball late with soft hands. How many fours went down to Third Man? That's a sign of hands like Nanette Newman in the Fairy Liquid advert. England were a disgrace. How can a side be so good at Lord's and so awful here? Because they rely on four or five players and the rest are simply not up to it. The batting relies on Root, Cook and Bairstow and they have to hope that the all rounders of Stokes and Ali chip in. If these guys don't score a big hundred, England fail - simple as that. They batted for just over 90 overs in the whole match. The selectors have been shocking for a few years. In December on these pages we called for Whitaker to go but his selections have been getting worse. Ballance, Jennings, Dawson and Wood must be on thinner ice than that of the local rink where Torvill and Dean plied their trade. There is no platform for the middle order as the openers and three keep getting sorted out. This has to change. Perm any two from Stoneman, Browne, Westley or Gubbins to be thrown in for the next Test for Ballance or Jennings. England wanted Trevor Bayliss to improve their T20 cricket but it has been to the detriment of the Test side. This was as bad as anything seen in India and for the salaries that he and Whitaker are picking up from the English public who yet again turned out in force, for me it is bordering on fraud. Dawson is out of his depth and I feel sorry for the lad. He shouldn't have been exposed by Whitaker in the first place. This will take some getting over. We are starting to pay the price for the switch of emphasis from proper cricket to white ball stuff, both internationally and in the domestic calendar. It's a joke that there's barely a Championship game in July and August, especially when some of these guys need time in the middle. The sheen is well and truly off these well paid players, management and selectors. 2-2 v Pakistan last summer was appalling as was 1-1 in Bangladesh, and let's not revisit India. It's time for them to shape up and stop blaming other factors (such as the Cardiff wicket in the Champions Trophy semi), instead adapt to the conditions and respect the bowling facing them. And don't forget Mick Newell!! Never played a bloody test match in his life and was a mediocre batsman at that!! Bayliss not doing it for me! Get rid of the lot Inc Ramprakash, Gibson etc and start building with Jason Gillespie!